Even the most expensively made wig or hairpiece will not look natural if you do not know how to fit it properly on your head and wear it correctly. To get the look you want and the feel of your natural hair use the following tips on the proper way to wear your wig. First, if you still have some hair that you are attempting to cover, make sure that you have a Stylist Cut It Short. Longer strands of hair that you attempt to tuck inside a wig can affect the hairpieces fit and result in a bumpy, uneven, loose-feeling fit. Second, a good wig cap foundation is key to any wig placement. Before donning the wig make sure that it is fitted with the proper wig cap. The cap of the wig is the base material that the Human Or Synthetic Hair is attached to. Most wigs come with a choice of three styles of caps – a standard cap, a capless design, and a monofilament cap. The standard cap, also the least expensive and most common option, is designed with a solid, closed lace layer at the crown and the hair is machine-sewed into the cap. At the crown the hair is usually crimped to create volume that hides the cap from view. A monofilament cap, however, is made with a mesh like material that is thinner than the standard material used in wig caps. This material allows for more air circulation under the wig and the thin, see-through material allows the wearer's real scalp to peak through, so the wig affords a more natural look when worn. Also, the hair in this type of wig is sew on by individually strands, so there is no need for a teased look at the crown and the wearer has more versatility when styling this type of wig. Finally, the capless design does feature a cap to attach the hair to but the material is not crafted in a solid design. Instead, this cap type features vertical strips of cap material with open spaces between each row of attached hair. This design offers more ventilation under the cap, a lighter weight product, and a slightly more natural look than the standard cap design. Once you have the proper fit it is time to place the wig. To get the best fit and most natural looking finish, start by holding the wig in front of your face with the tag side (the back of the wig) closest to your face. Next, slip the wig into place by slipping it over your head in a front-to-back motion until the tag rests at the very back of your neck. Also make sure that you have positioned the wig so that the two wig tabs (found on each side of the hairpiece) are set in front of your ears and that the front hairline is set to match your natural hairline. If you have the wig positioned properly and it still feels too loose or too tight, you can remove the wig and adjust the tabs at the nape of the wig until you achieve the proper snugness. If you still feel that the wig is loose, or just need a little extra holding power for added security you can hold the wig in place with bobbie pins if you have some natural hair, or with toupée tape if attaching a wig to a bare scalp. Properly positioning your wig and getting the exact placement for the most natural look takes time and practice. Be patient and soon you will be wearing your wig like a pro. 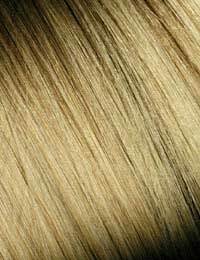 Whether you have a synthetic or real hair wig, you'll find styling advice in our Wigs Help And Advice section on this site.